Universities Ireland sponsored the third in a series of conferences to commemorate the centenary of key events in the history of modern Ireland ranging from the Ulster Covenant, through the First World War and the 1916 Rising, to the foundation of the Irish and Northern Irish States in Belfast City Hall on Saturday 14th June 2014 under the title. 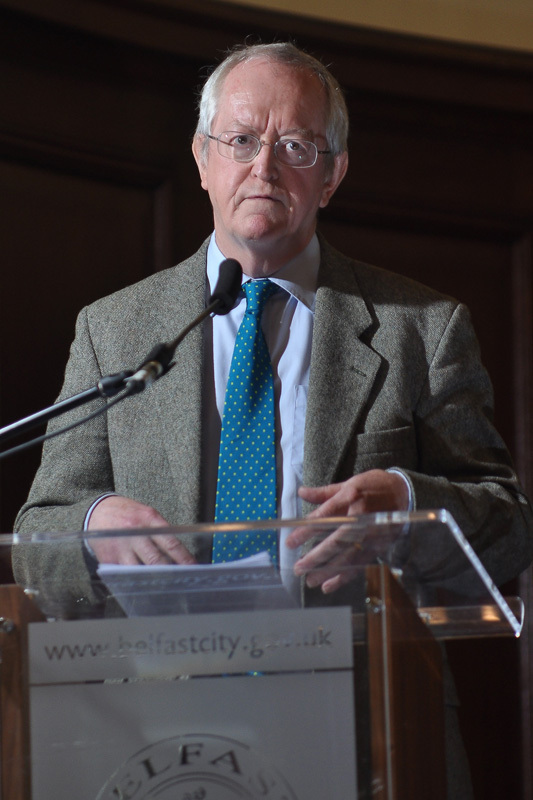 Professor Keith Jeffery, Professor of British History, Queen’s University Belfast will delivered an address entitled Reflections on Ireland and the First World War. 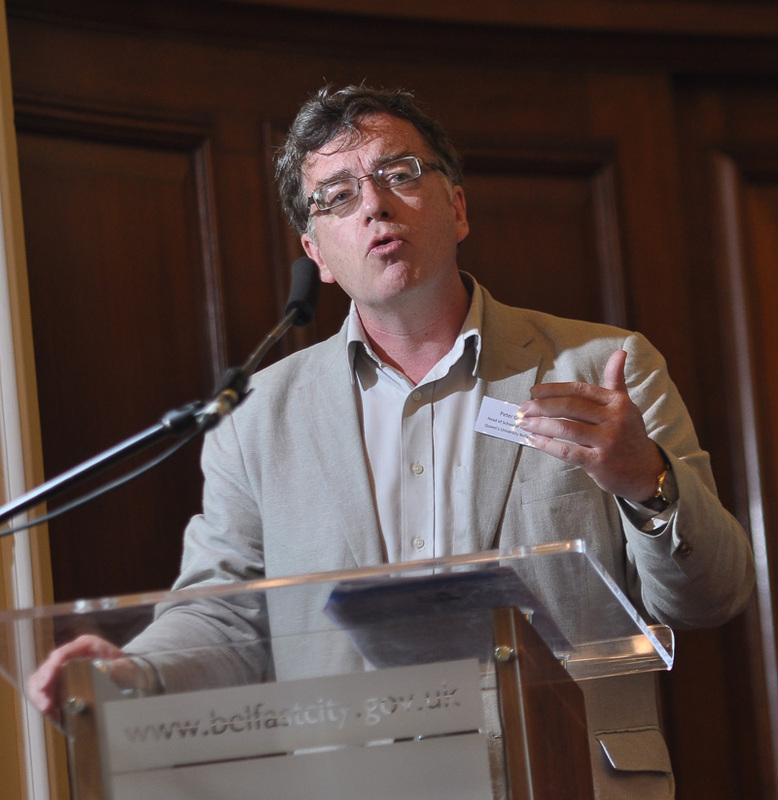 Chair: Dr Fearghal McGarry, Reader in Modern Irish History, Queen’s University, Belfast First Panel Session: Digitised sources, archives and community research Prof Richard Grayson, Head of History (2011-14) and Professor of Twentieth Century History, Goldsmiths. 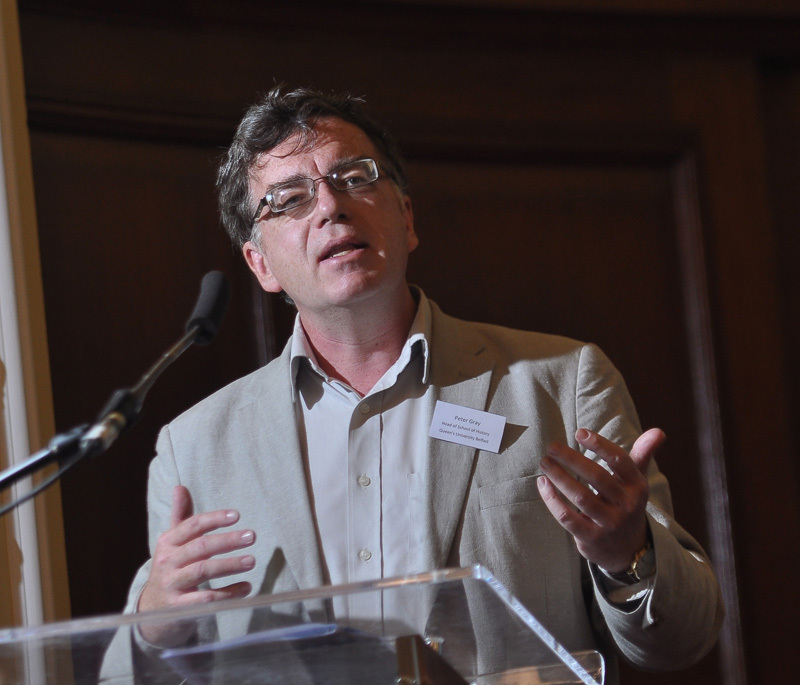 University of London Mr Ian Montgomery, The Records Management, Cataloguing and Access Team (RMCAT). Public Record Office of Northern Ireland Ms Amanda Moreno, Head of Collections, Museums of The Royal Irish Regiment. 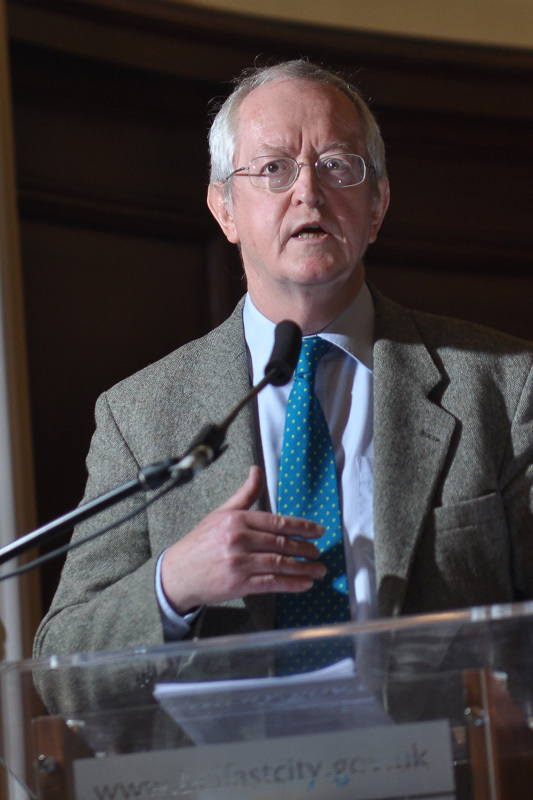 Prof Richard Grayson, Head of History (2011-14) and Professor of Twentieth Century History, Goldsmiths, University of London – Social background of Dublin/Belfast volunteers. 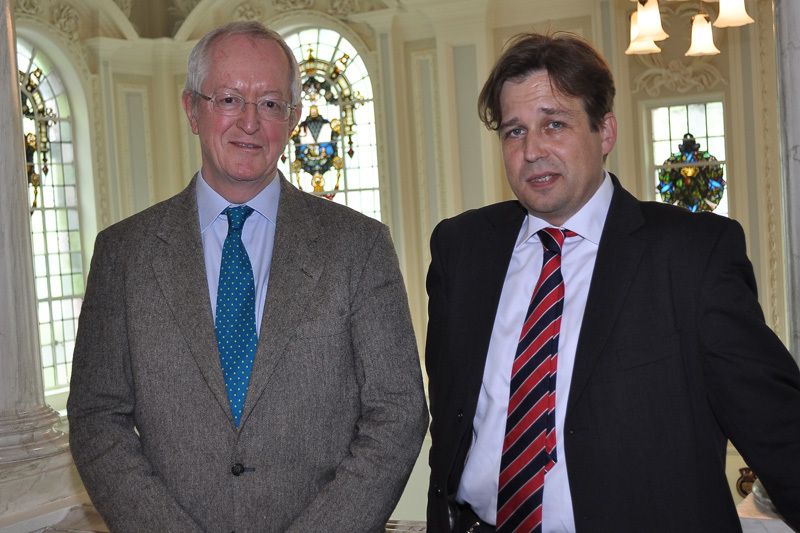 Dr Timothy Bowman, Senior Lecturer in History, University of Kent – Ulster Volunteers. 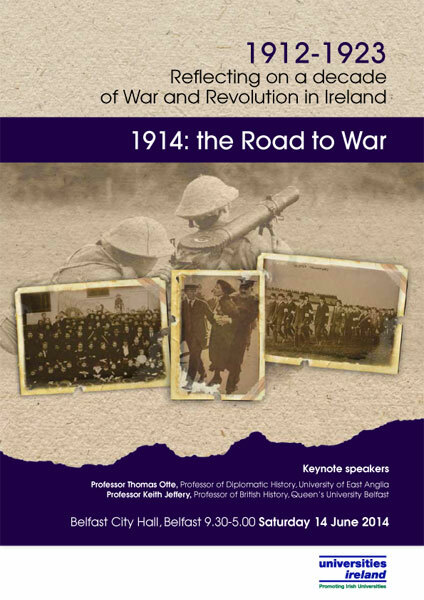 Dr Margaret Ward, Visiting Fellow in Irish History, Queens University Belfast – Suffrage and Pacifism. Dr Senia Paseta, Historian of Modern Ireland, University of Oxford – Women and war.